Being recommended by a planner is always a pleasure, it shows their confidence in your services and almost always results in an enthusiastic couple! 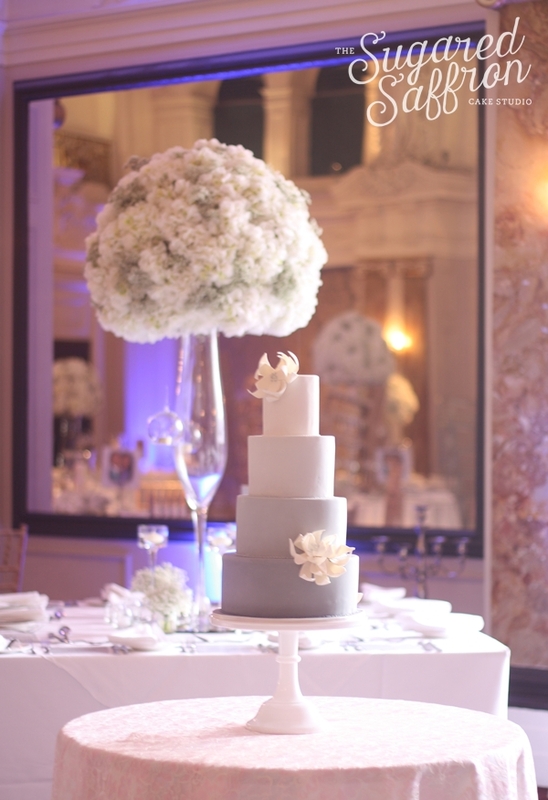 That was just the case when I met up with Teresa to discuss her beautiful grey and white theme that took place at Hotel Russell. This iconic four star hotel sits right in the centre of Bloomsbury and despite being built in 1898, has a naturally contemporary feel. Teresa was accompanied by Abiyole Jones of Pretty Gorgeous Events who I’ve had the pleasure to work with before and would always highly recommend! 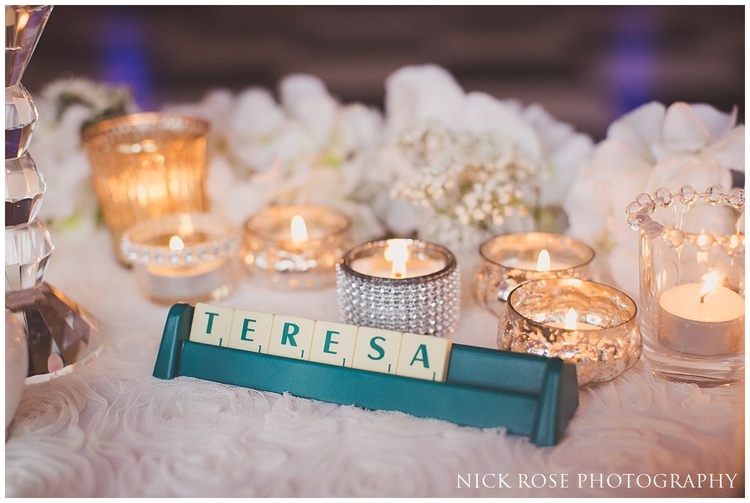 The wedding was full of the sweetest little details to reflect the couple and their interests. 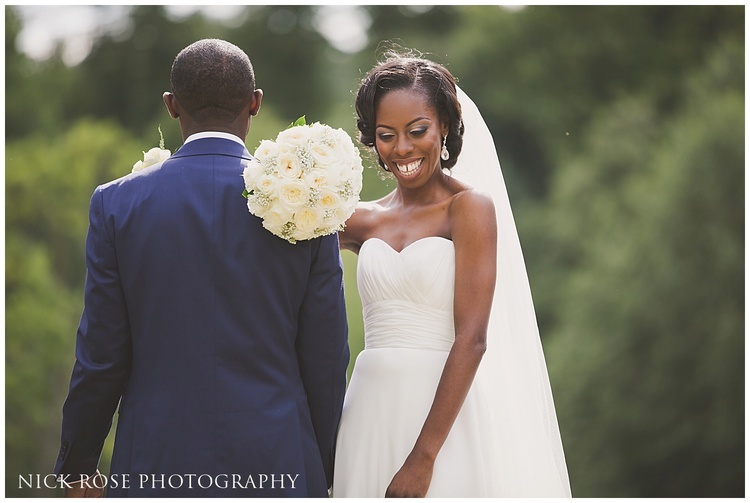 All beautifully captured by International wedding photographer Nick Rose. 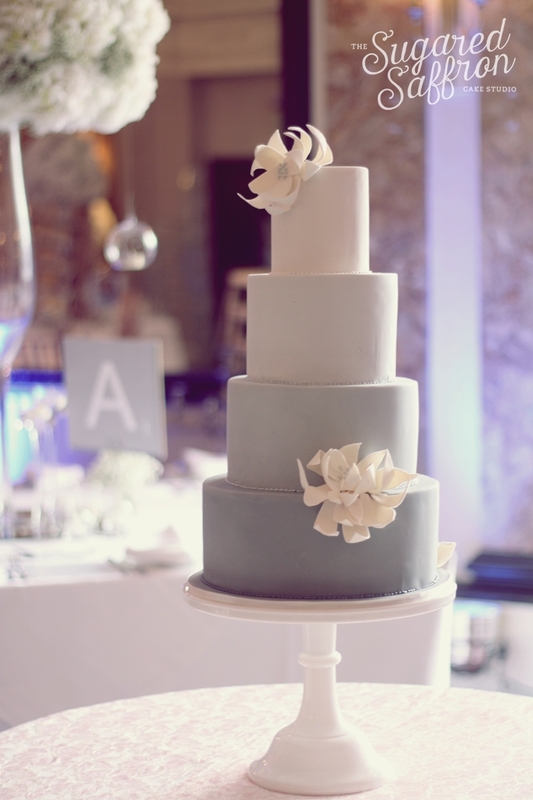 The design that was sketched out was an ombre grey four tier, with white structural ‘flowers’. Teresa didn’t want them to look too botanical and we were inspired by Adenium, cactus flowers and bromeliads to create 2 feature flowers. Here are a couple of my own photos that we managed to snap up quickly before rushing off to another wedding! To view more of the gallery, have a look at Nick Rose’s wedding blog post on the wedding.